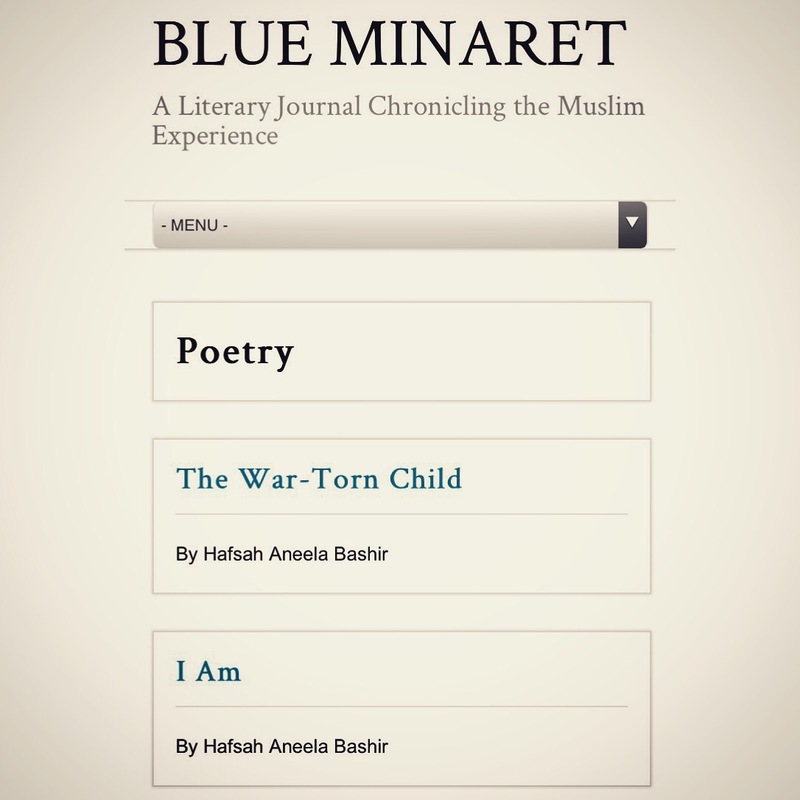 Pleased to wake up to Blue Minaret, a literary journal chronicling the Muslim experience publishing ‘The War-Torn Child’ and ‘I Am’ online, to join a wonderful canon of work by Muslim and non- Muslim writers. 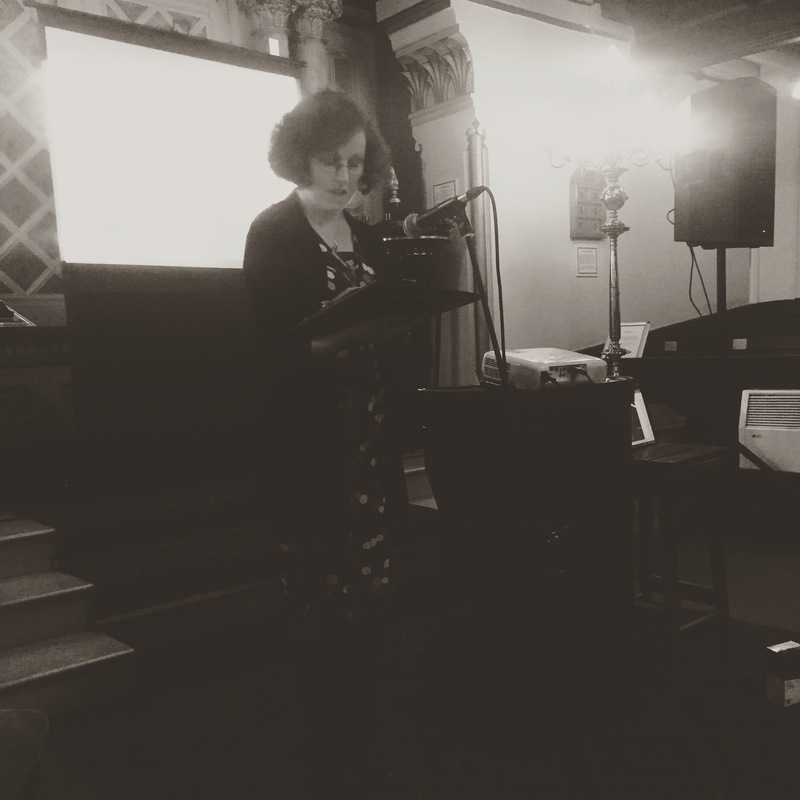 They accept regular submissions from anyone interested in poetry, art, stories or critical essays if you want to send them your work. 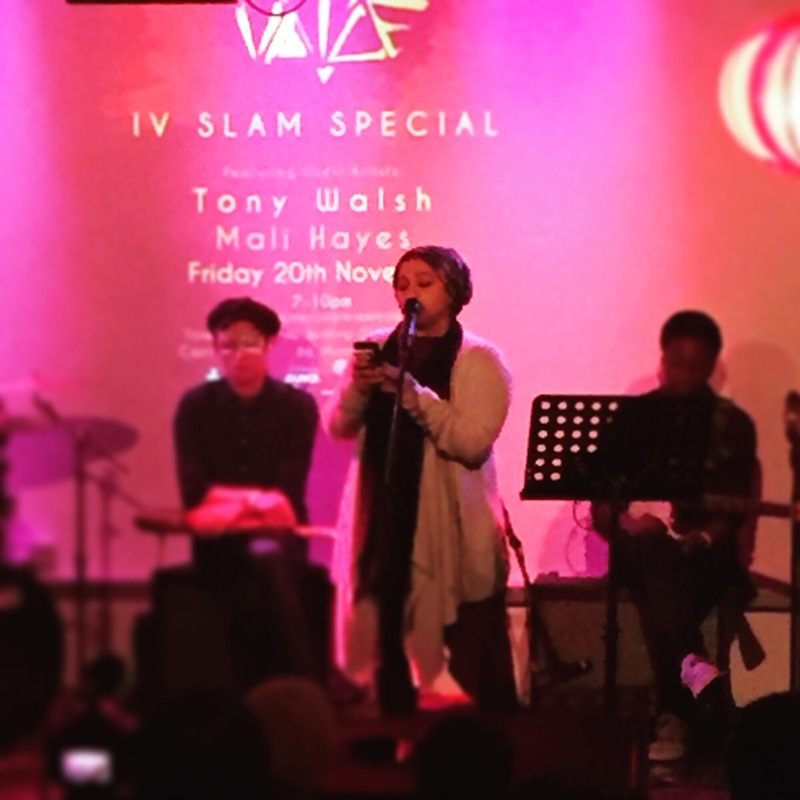 This entry was posted in Uncategorized and tagged blue minaret, chronicals, creativity, muslim experience, online, poetry, spoken word, writing on November 28, 2015 by Hafsah Aneela Bashir. 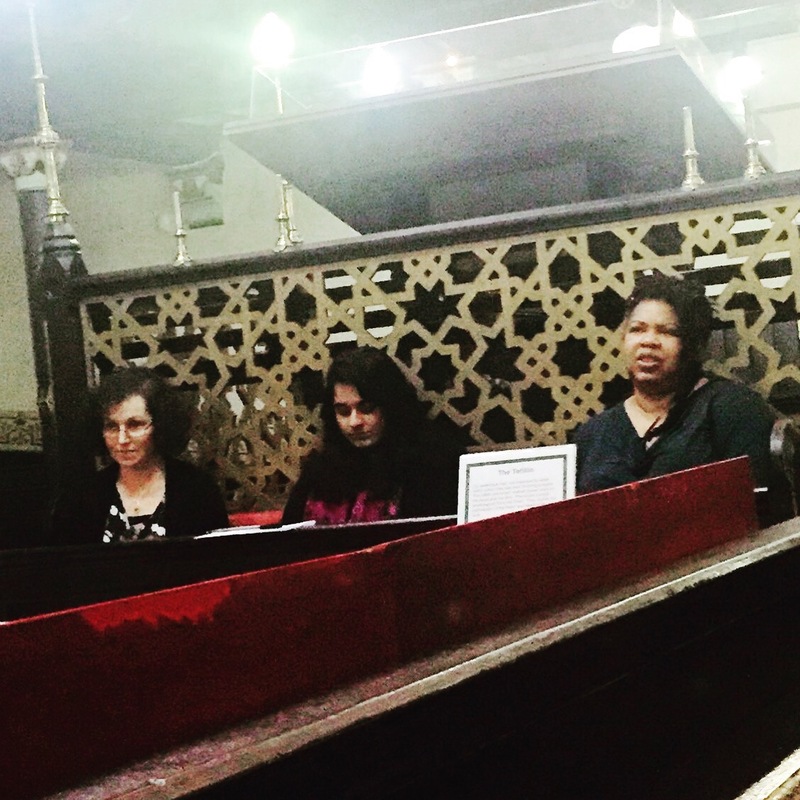 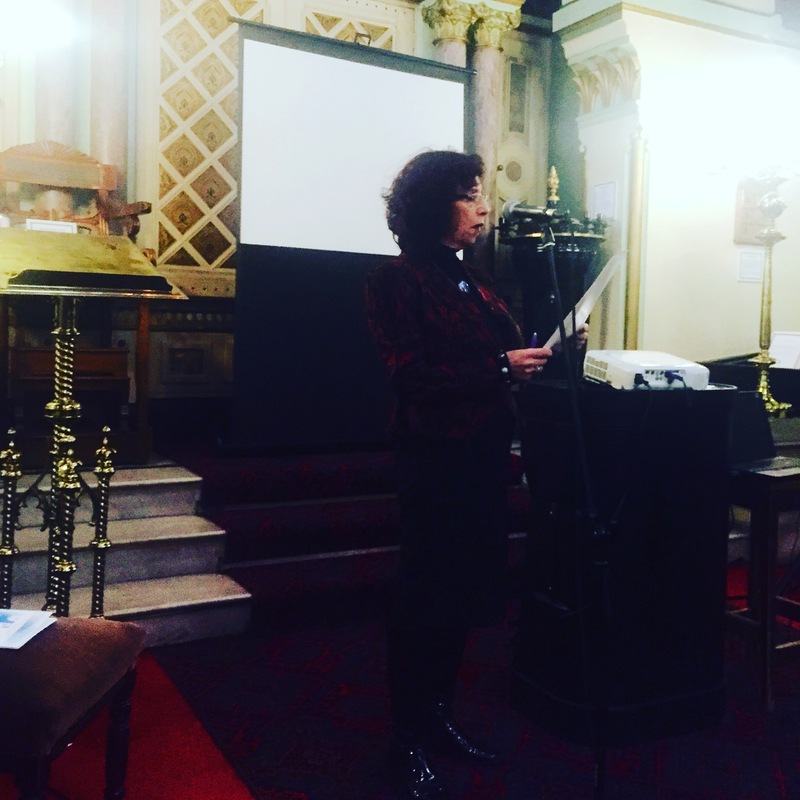 Sunday 22nd November brought women writers from the Muslim and Jewish faith together to share their stories at the Manchester Jewish Museum. 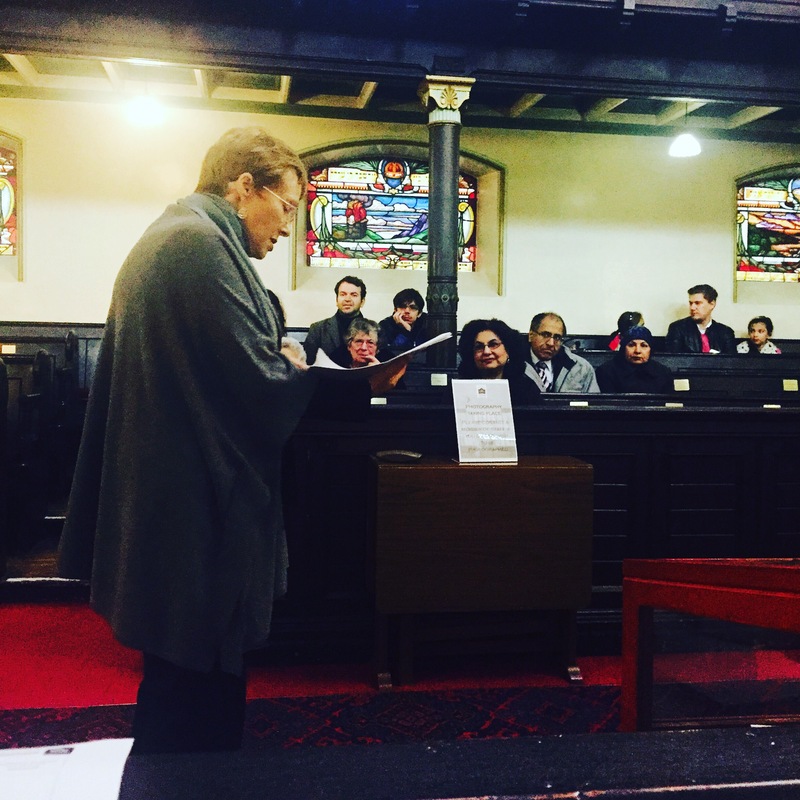 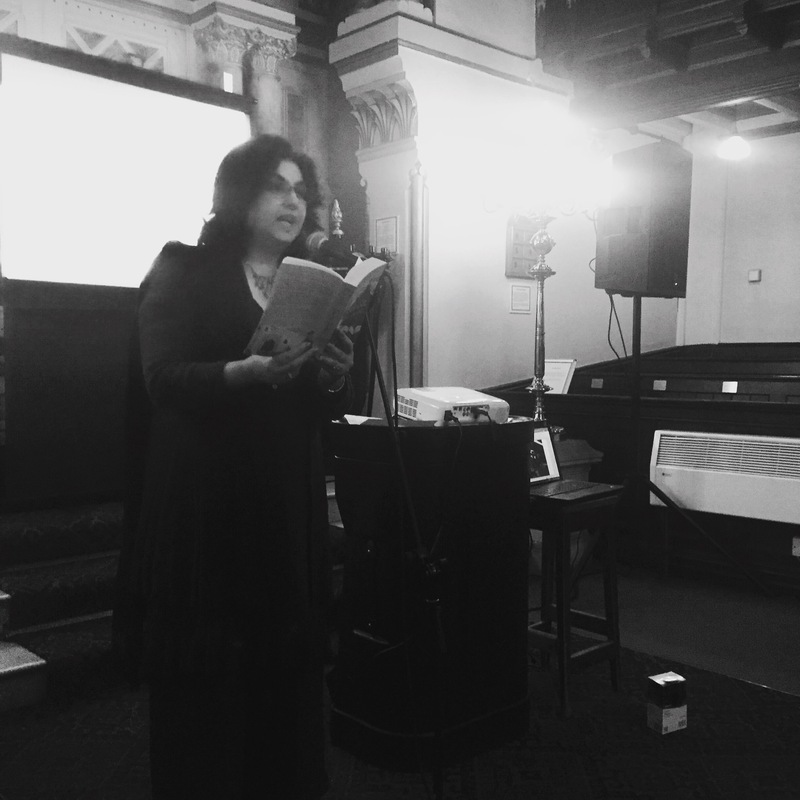 The gathering celebrated the anthology ‘When Saira met Sara’ published by Commonword featuring poems and narratives that highlight the experiences of women from both faiths. 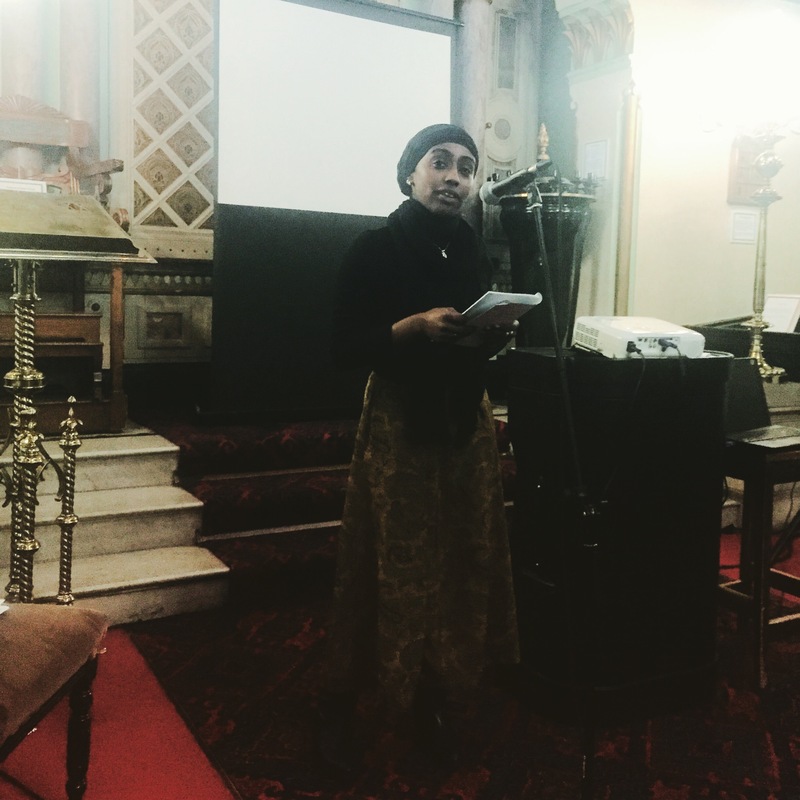 Myself, Yasmin Babiker, Sherry Ashworth, Jacqueline Lewis, Shamshad Khan and Becky Prestwich Hine shared our writing, a testament to the commonalities we share that are often forgotten. 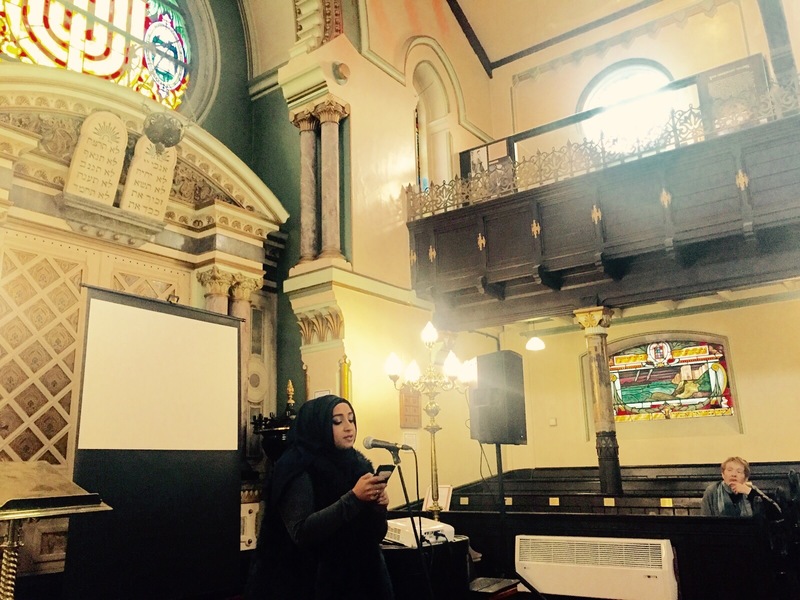 We were also joined by Tahara Amin, Qaisra Shahraz and Heather Fletcher from the Greater Manchester Muslim and Jewish Forum aswell as creative artists, Afshan Lodhi and Cheryl Martin. 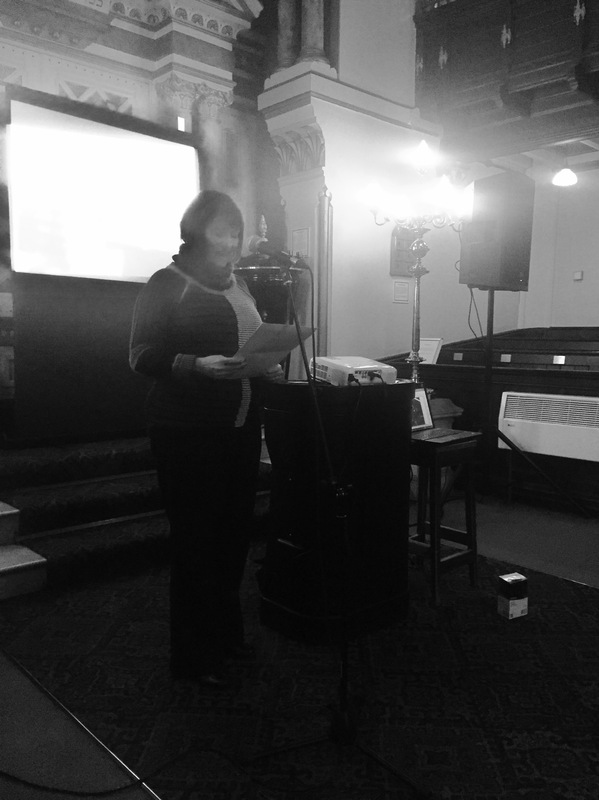 Afternoon tea at the Park Inn organised as a thankyou to us, ended what was an inspiring occasion, affirming the belief that love, laughter and tears can indeed bring us cousins closer together if we try. 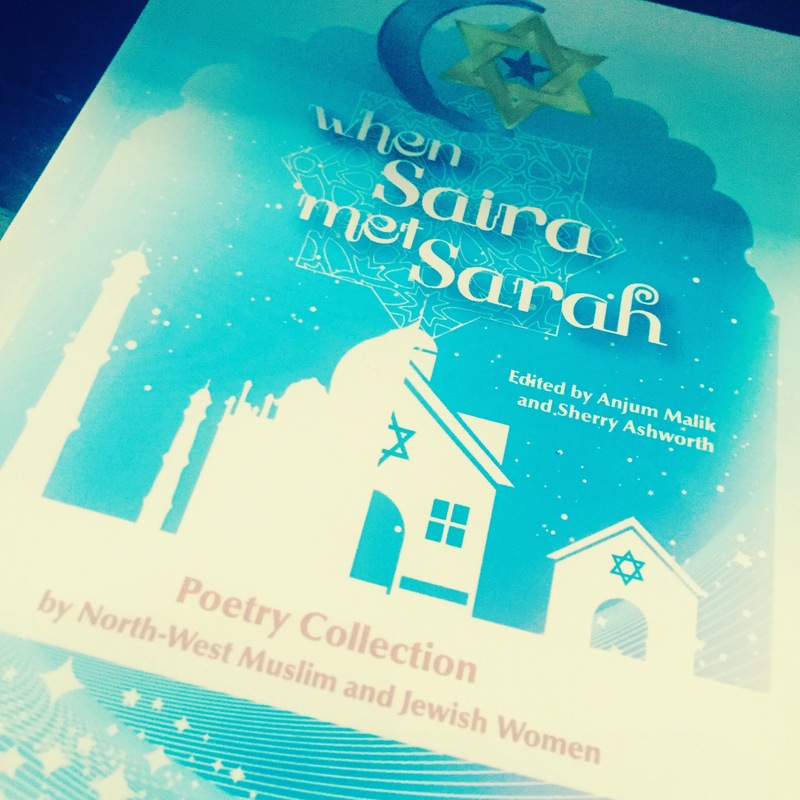 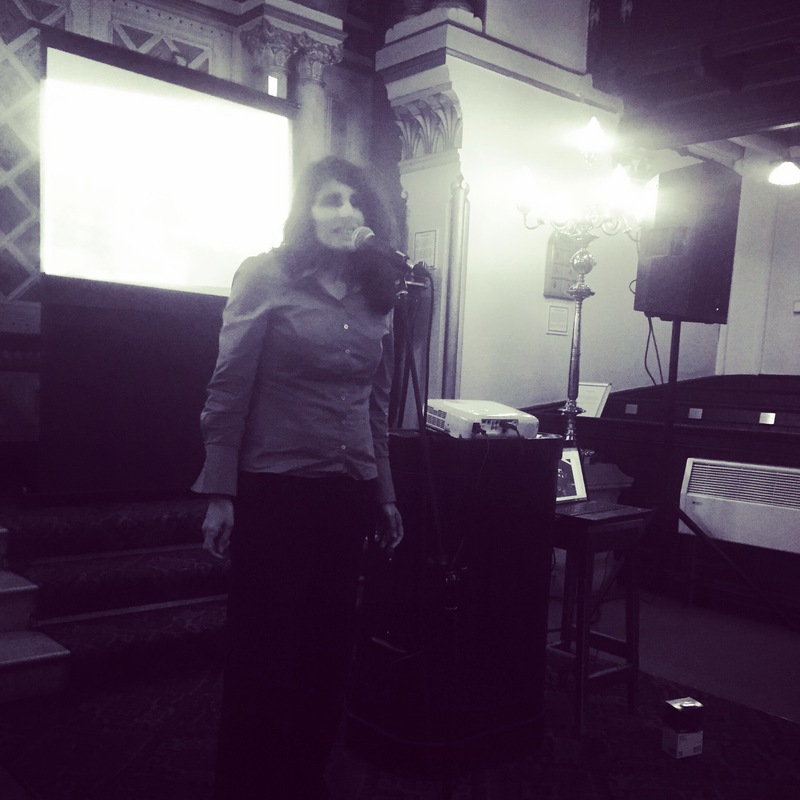 This entry was posted in Uncategorized and tagged abrahamic religeon, commonword, culture, interfaith, love, manchester jewish muse, muslim and jewish forum, peace, poetry, when saira met sarah, writers on November 26, 2015 by Hafsah Aneela Bashir. 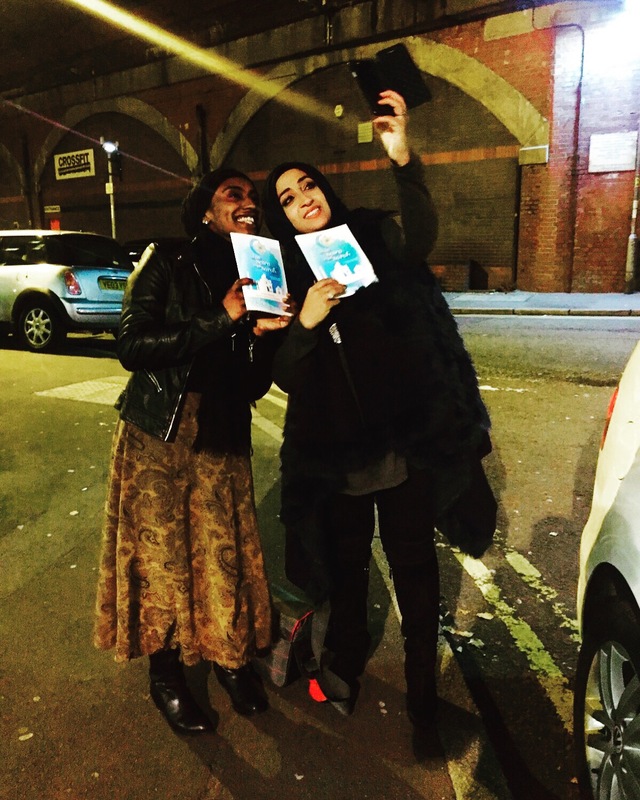 in the same book sharing their creative and cultural heritage. 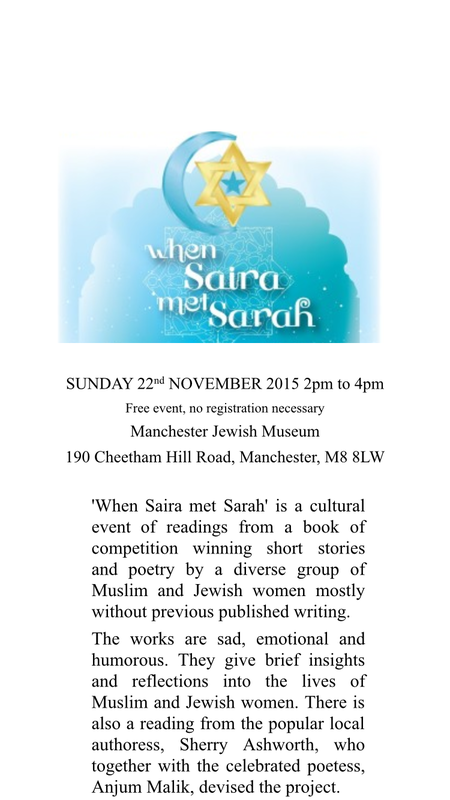 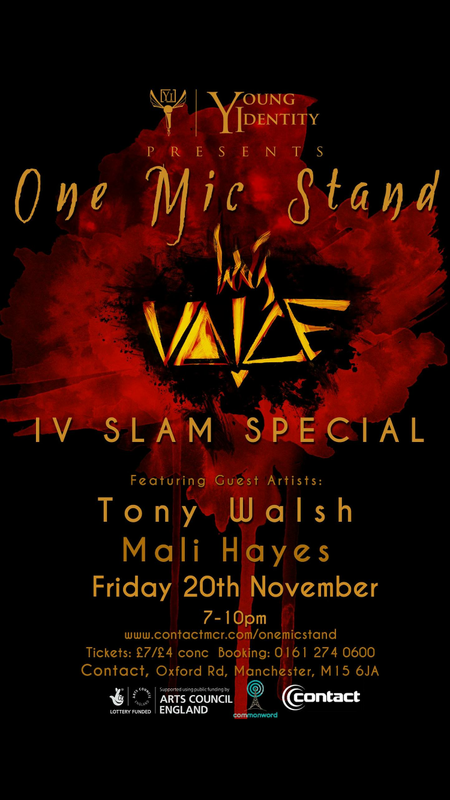 On Sunday 22nd of November I will be sharing my poetry at this event. 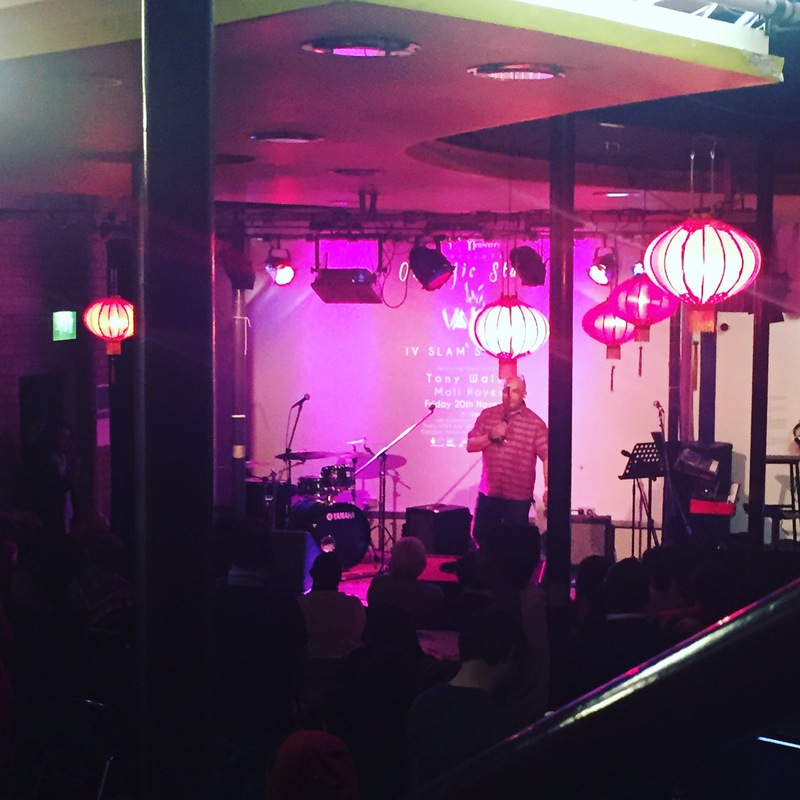 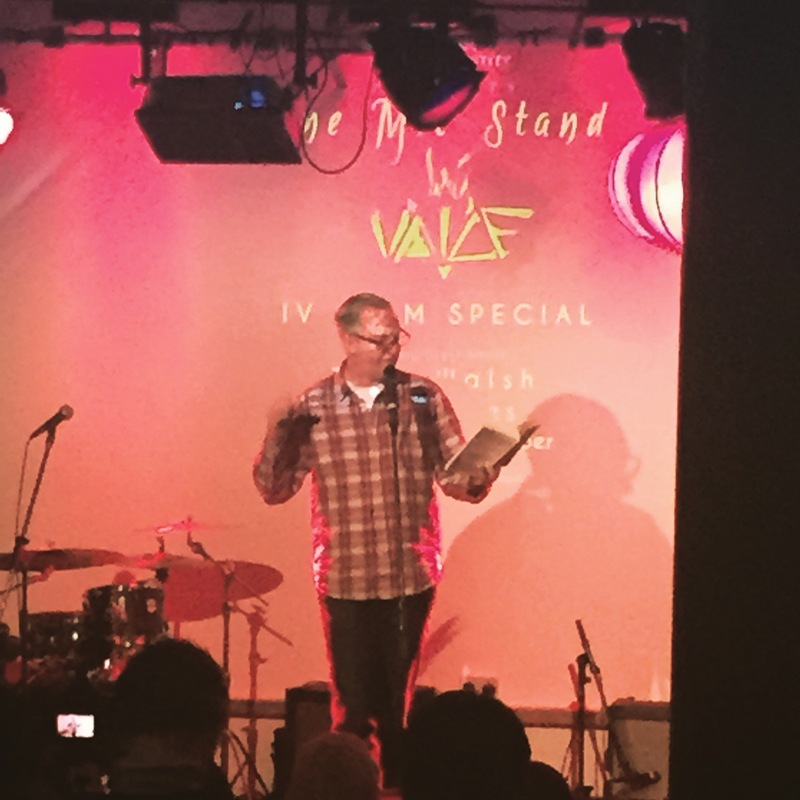 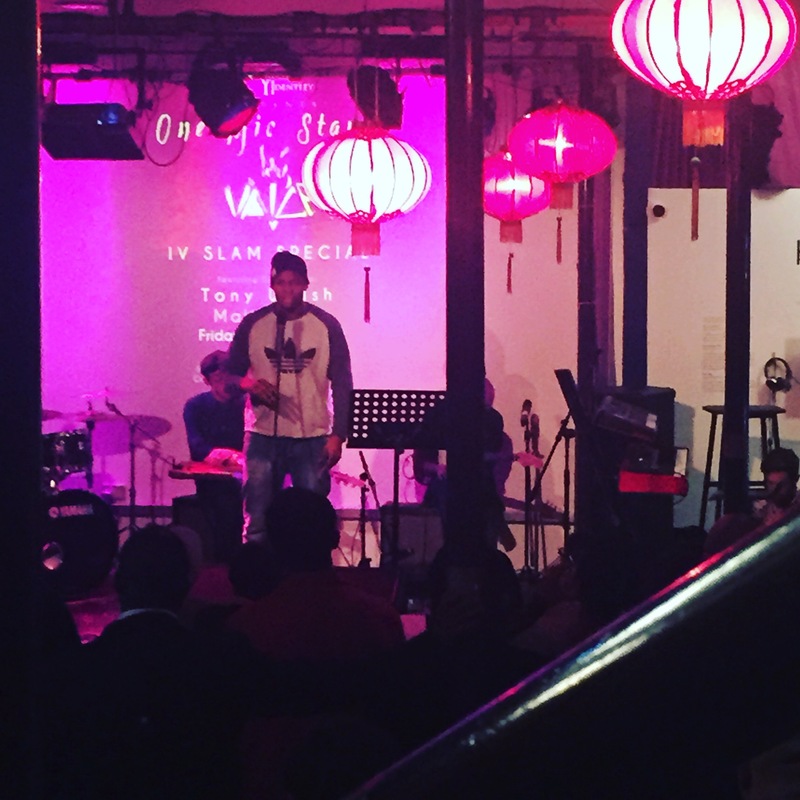 Come and join in the love with other guest poets and writers for the evening, Sherry Ashworth, Becky Prestwich Hine, Julia Davis, Yasmin Babiker, Jacqueline Lewis and Shamshad Khan. 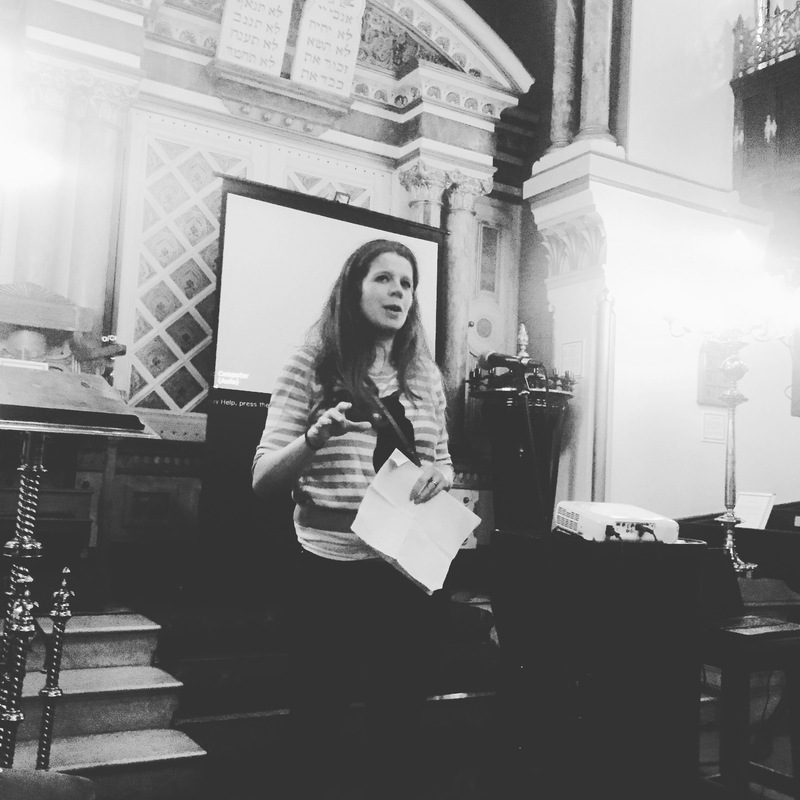 The collection was produced by Commonword under their Crocus books inprint. 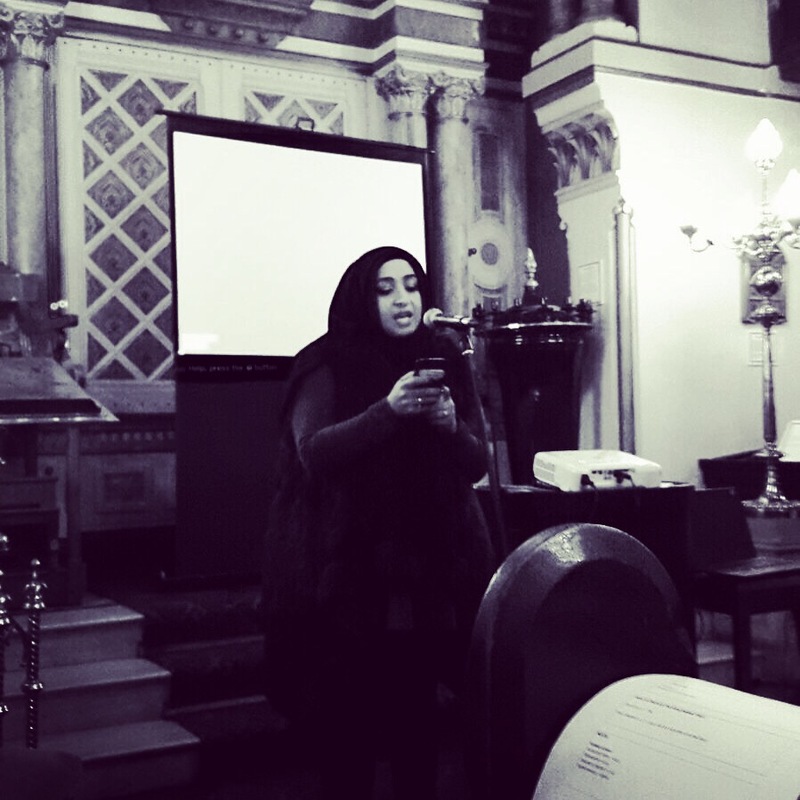 This entry was posted in Uncategorized and tagged creativity, culture, interfaith, jewish, love, multifaith, muslim, poetry, poets, spirituality, spoken word, writers, writing on November 13, 2015 by Hafsah Aneela Bashir.